I am a children’s entertainer based in Caldicot, Monmouthshire. I cover everywhere from Newport through to Magor, Caldicot and Chepstow and all areas in between, as well as nearby Cardiff, South Wales. 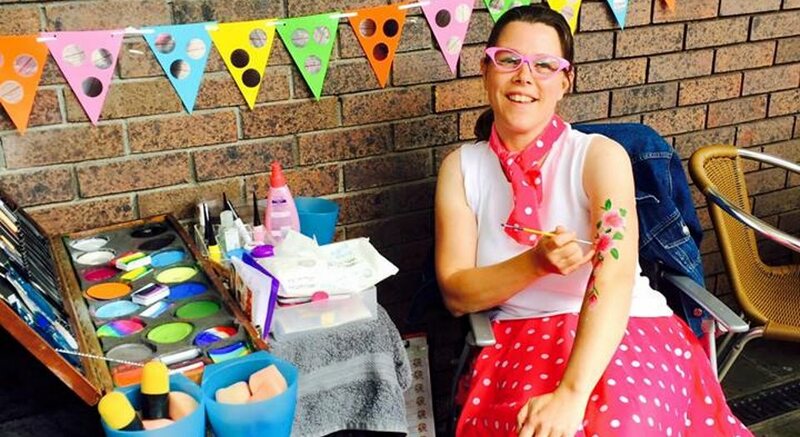 You can hire Face Painting by Irene from as little as one hour. Whether he wants a Peter Pan face paint, Batman/Spiderman face-paint or she wants a butterfly on her arm, all popular designs can be painted or you can request a special theme e.g Frozen, Jungle book, Paw patrol. Recent party themes for adults I have had requested are a South Sea island night, Bollywood, Strictly Come dancing (lots of glitter! ), Masked Ball, Neon UV and Superheroes. I just love creating lots of face paint ideas and themes. For adults I love matching the flower designs to the colour of the dresses. 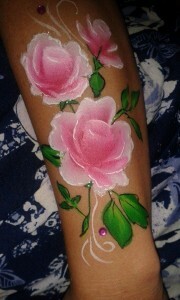 A favourite of mine is face painting roses on the arm. Perfect for a summer wedding! For children it is a good way to keep the little ones amused during the long day – an ideal way to entertain little guests during the speeches or canapés. 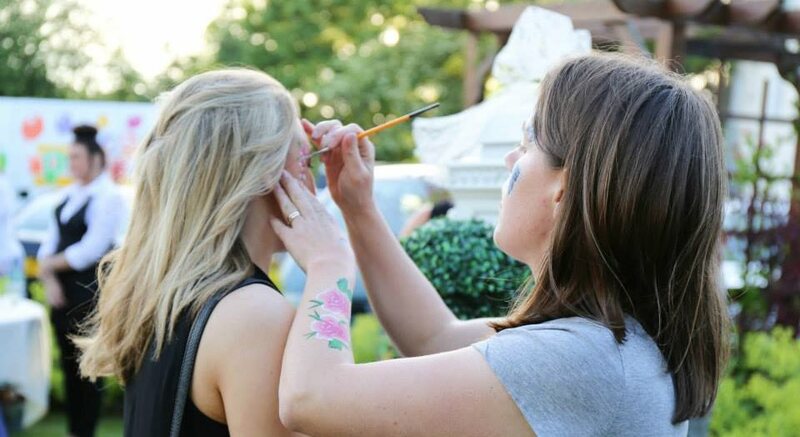 Face painting is a great marketing tool for your corporate event. 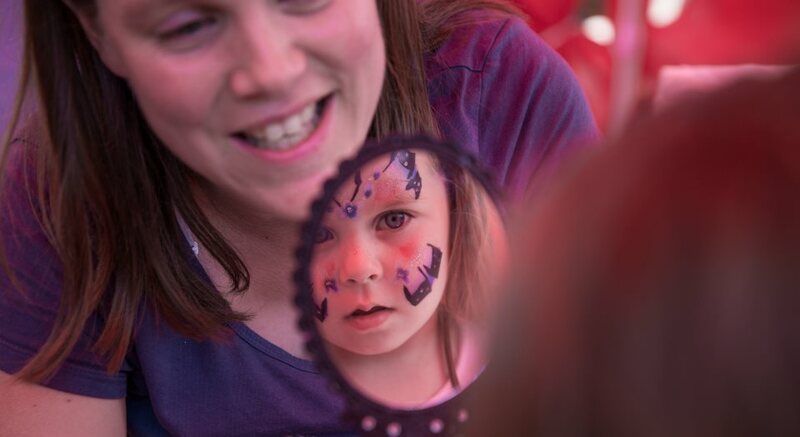 Whether it be a Funday, Sports event, Store Promotion or Store Opening, face painting can enhance and focus your event with a theme or a logo. Various formats and themes are available to suit your budget. 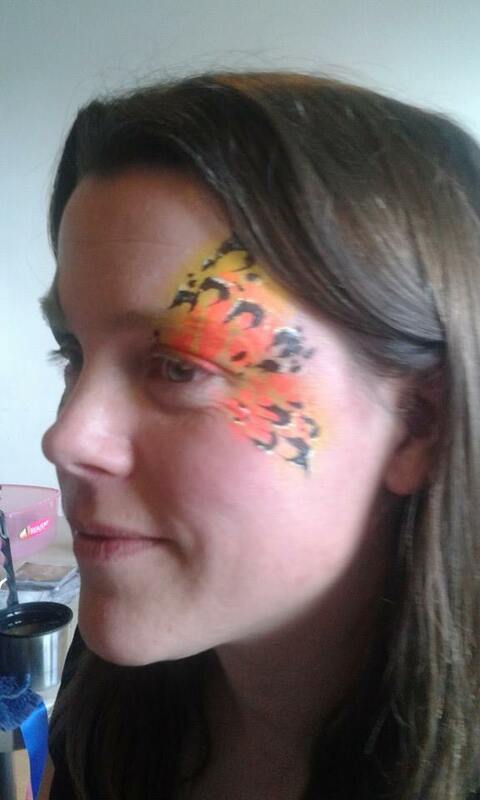 Extra face painters and or glitter tattoos can be booked for the events.